REDSTAR Stainless steel flanged ends ball valve simply structure, good sealing, but ball support will transfer to sealing ring of outside. 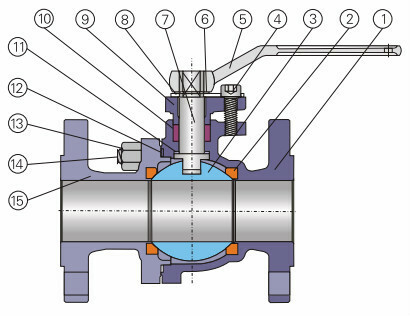 so floating ball valve suit for middle pressure or low pressure service. Applicable Medium: Water, Gas, Oil, and Corrosive Medium such as Acids, Alkalis etc. Full Bore Or Reduced Bore.